One of the kilns used for casting Buddhist statues was destroyed in Hebei Province. 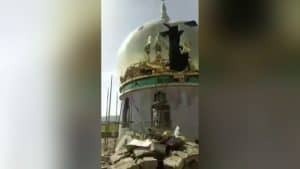 Bitter Winter has repeatedly reported that as part of the authorities’ campaign to crack down on religion, vast numbers of ancient Buddhist temples and religious statues have been demolished. Now, as the campaign to “exterminate Buddha” advances, the authorities are extending their crackdown to factories that build Buddhist statues. In the 1980s, with the rise of China’s reform and opening-up era, in response to the Chinese Communist Party (CCP)’s call to create wealth, people in many parts of Hebei Province entered the business of making bronze Buddhist statues and gained a prestigious reputation over time. 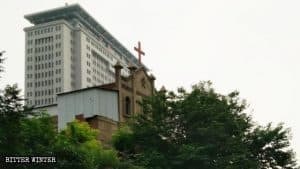 However, during the current crackdown on religions, authorities across Hebei have begun to demolish and vandalize local factories that manufacture Buddhist statues on the pretext that these factories “pollute the environment.” This has caused villagers to sustain heavy losses and led to resentment from the public. 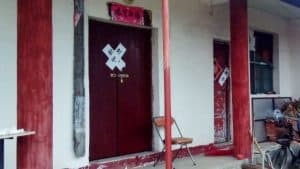 On March 6, local police raided six Buddhist-statue factories in Zhuanlu town, under the jurisdiction of the county-level city of Dingzhou: They destroyed casting kilns in one of the factories and smashed statue molds at another one, causing the owners of these two factories to incur losses of tens of thousands of RMB. Buddhist statues made by the other four manufacturers were confiscated. At the same time, authorities of the Tang county, adjacent to Dingzhou also launched a crackdown against Buddhist statue factories. The local Public Security Bureau and Environmental Protection Bureau dispatched about 80 personnel and brought in three excavators to demolish kilns and factories in Tianjiazhuang village, causing each factory to sustain losses up to 300,000 RMB (about $44,700). 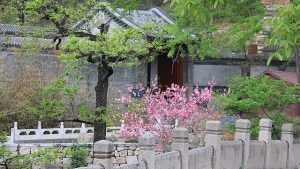 During a series of visits, Bitter Winter discovered that Buddhist statue casting factories in other villages have also been successively destroyed. 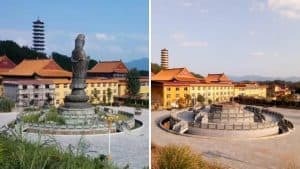 In Tang county’s Yueling village, authorities demanded to demolish Buddhist statue factories on the grounds that it “polluted the environment,” but villagers refused to demolish it. Officials then mobilized more than 100 personnel from the county’s Public Security Bureau, armed police force, and other government departments, and used an excavator to demolish some of the village’s Buddhist statue factories. 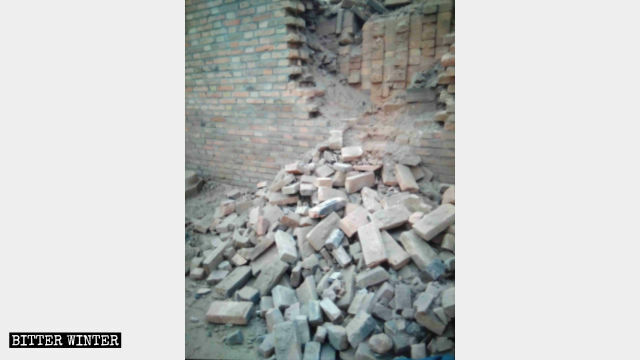 In March, the authorities once again dispatched personnel to storm into the village and demolished all remaining casting kilns. According to one villager, each factory building that was demolished cost 200,000 RMB (about $29,800), and all of the money used to build these factories came from loans. “Since Xi Jinping came to power, the common people have suffered the most. The Communist Party isn’t creating wealth, but wiping it out, leaving people with no means to support themselves,” the villager said helplessly. 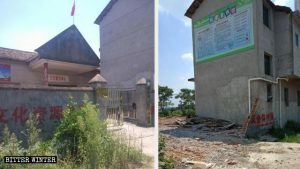 Some commentators remarked that the authorities’ demolitions of Buddhist statue factories are related to the CCP’s policy to crack down on religious activities and symbols in rural areas, using “environmental pollution” as an excuse. 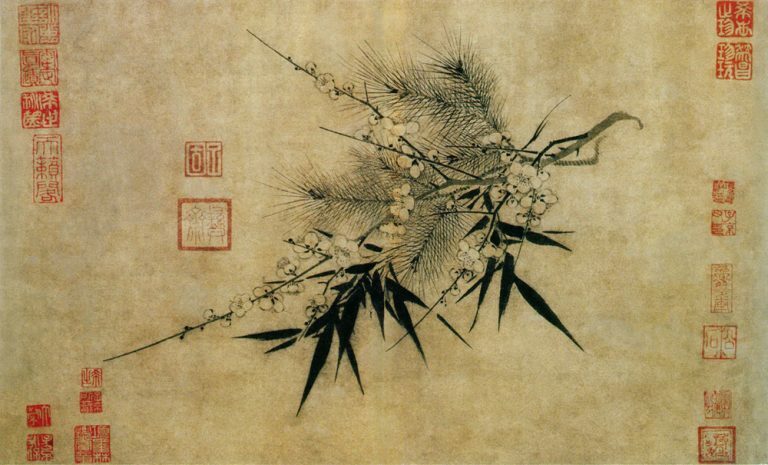 Its ultimate goal is to restrict the development of Buddhism in China.